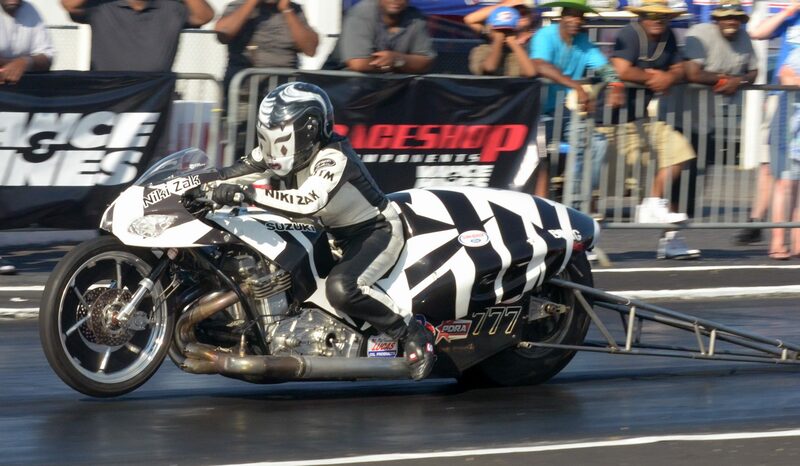 In the wake of last weekend’s ManCup Fall Nationals at Rockingham Dragway, track owner Steve Earwood admitted that he was both amused and confused by suggestions that his track “was back” after Niki “Niki Zak” Zakrzewski, Rodney Williford and Larry “Spiderman” McBride set the motorcycle world abuzz with record-shattering performances that included a 255.29 mile-an-hour top end speed from McBride’s Top Fuel Bike. 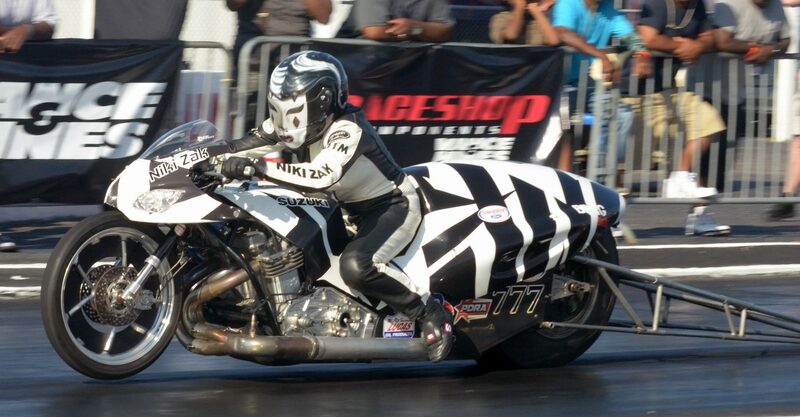 Niki “Niki Zak” Zakrzewski becomes the first female motorcycle drag racer to eclipse 200 MPH. 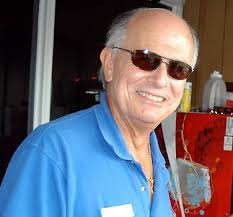 “I didn’t know we’d gone anywhere,” Earwood laughed. “The Rock has been a destination track for anyone looking for maximum performance since we’ve been here and that’s been a source of great pride for me and my entire team. The payoff for all that expense and effort is a weekend like the one just passed in which Zakrzewski became the first woman to break 200 miles per hour on a drag racing motorcycle, and in which McBride recorded the fastest bike speed ever. 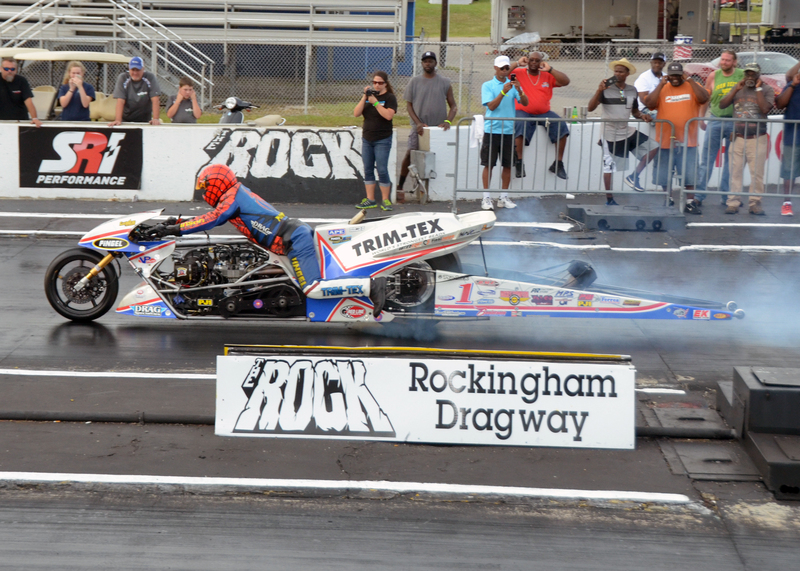 Larry McBride before his 255 mph pass! 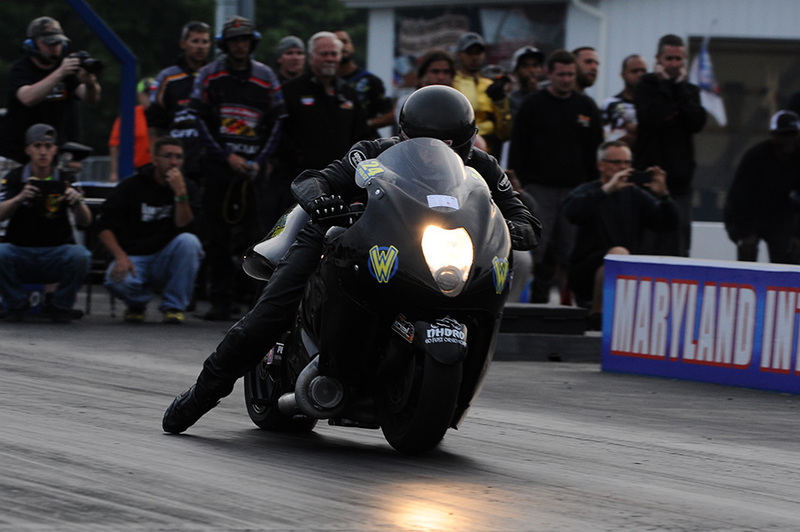 Rodney Williford and his turbo-charged Suzuki Hayabusa. 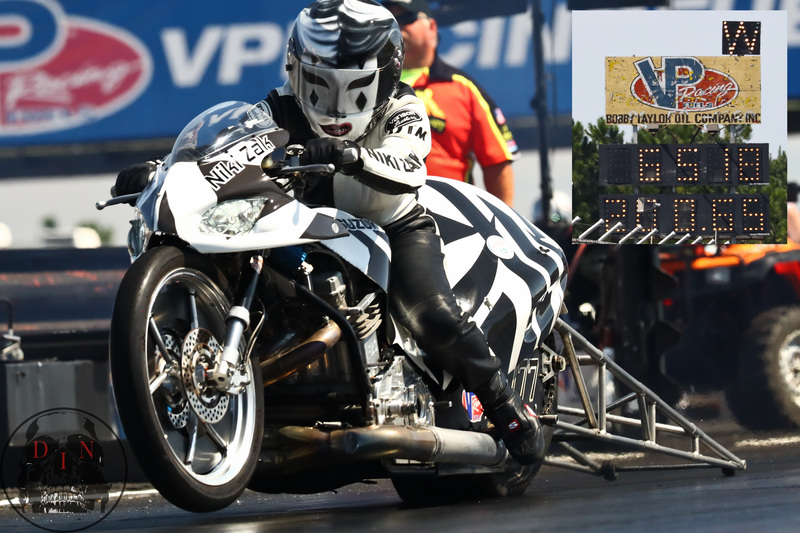 Top performances at the ManCup Fall Nationals at Rockingham Dragway: (1) Fastest speed on two wheels, 255.29 miles per hour by Larry McBride, Newport News, Va.; (2) fastest woman on two wheels, 205.82 mph by Niki Zakrzewski, Sydney, New South Wales, Australia; (3) quickest Pro Street elapsed time record, 6.667 seconds by Rodney Williford, Rougemont, N.C.; (4) quickest Real Street ET record, 7.652 seconds by Dave “Super Dave” Stewart, Mooresville, N.C.; and (5) first side-by-side motorcycle 5-second run in open competition when McBride defeated Chris Hand of Navou Ala. in the first round, 5.957, 248.66 mph to Hands quicker 5.885, 222.95 mph.